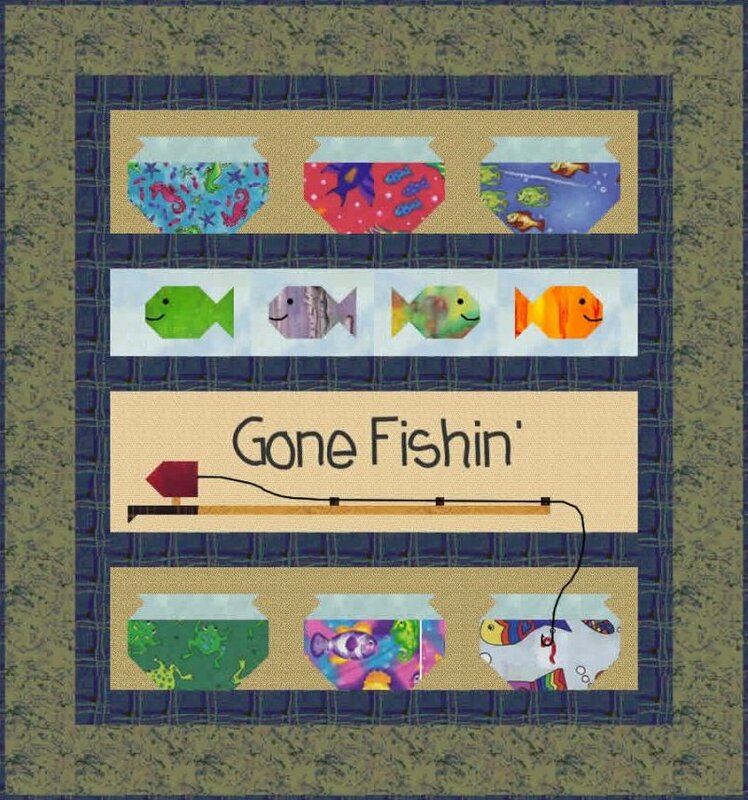 This fun quilt pattern comes with detailed instructions for 6 fish bowls, a trusty fishing pole, and a baited hook. Any little fisherman is sure to come home happy after he's gone fishin' ! Size: Approximately 42" x 45"
Embroidery: Yes. The "Gone Fishin'" writing, the fish mouths, the fishing line, and the hook are embroidered. Embellishments: Yes. Embellishments include buttons for the fish eyes.